1) Search over all documents. 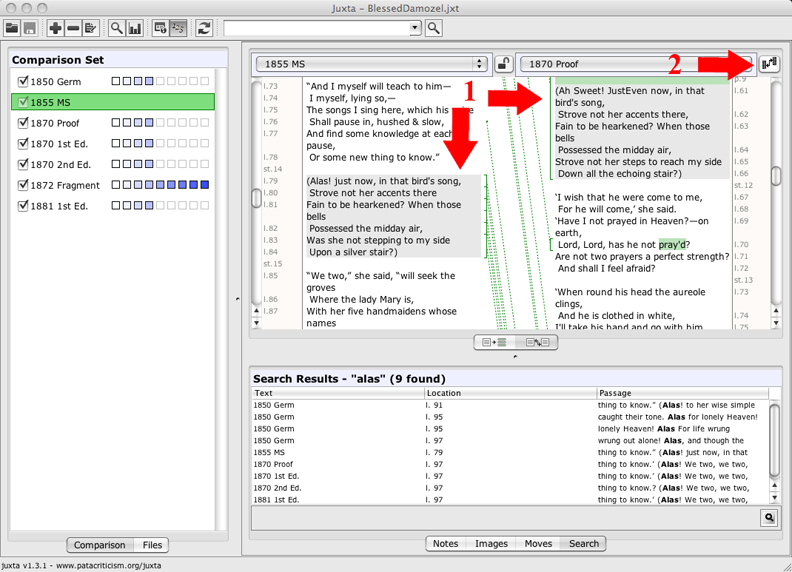 A search box has been added to the toolbar, making it possible to find instances of a word or phrase within all documents in the comparison set. Those results are listed in the Search pane at the bottom of the screen (see image above). Clicking on a line in that pane will display the document and the search results. 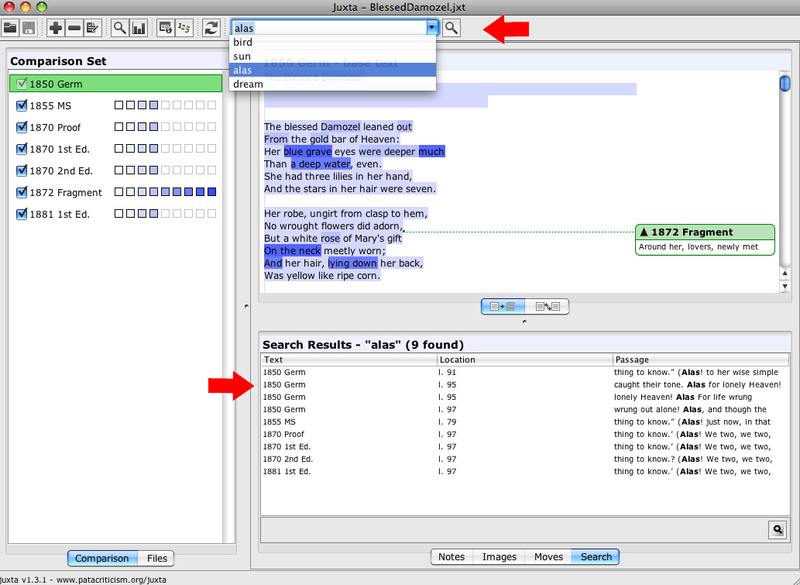 Note that Juxta will remember the last searches that were performed and show them in the search drop down list. 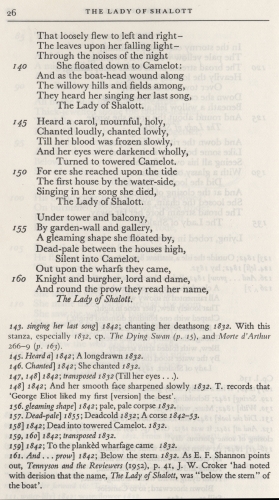 2) Line numbers appear for the witness and base texts. Now, when the “toggle line numbers” menu item is selected, the line numbers appear alongside the witness text, in addition to the those coresponding to the base text. 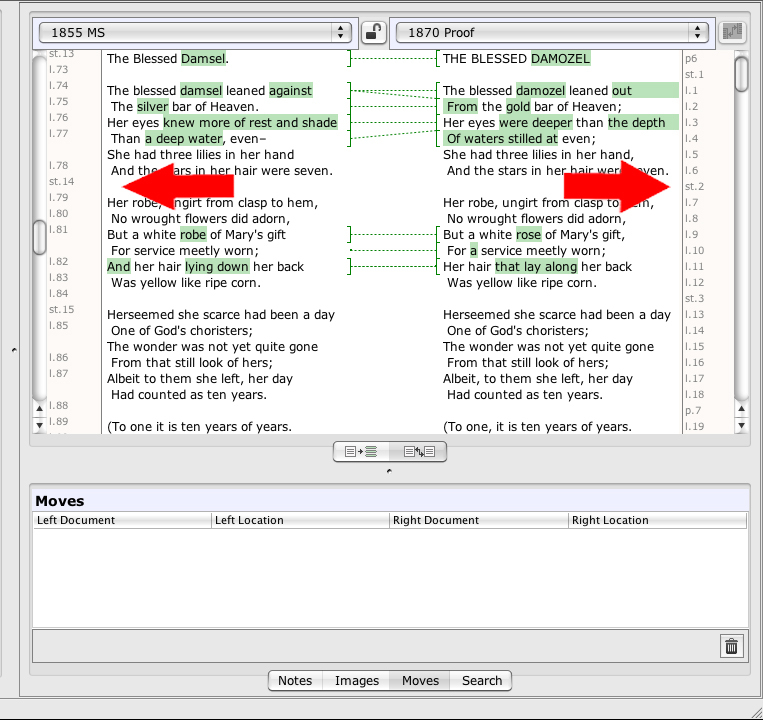 3) “Moves”: the ability to correlate similar passages that are differently located in two documents. The Passages feature from the last version has been reworked into the new, “Moves” feature. 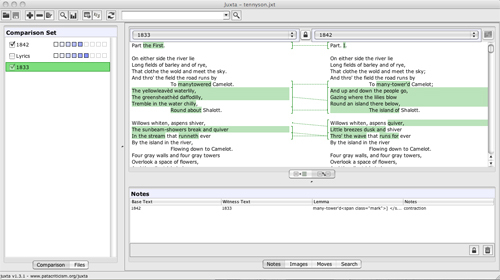 In the side-by-side collation view, the user may select text in both the base and the witness documents representing a passage identified as having moved (1). The move button (2) will become enabled at that point. Click here to create the move. 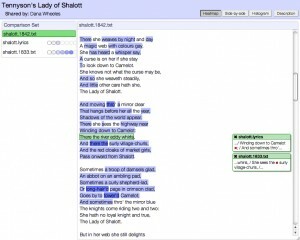 You will see an outline of the passages (3) and a line connecting them, with an entry made in the Moves pane (4). Clicking the entry brings the move into view. 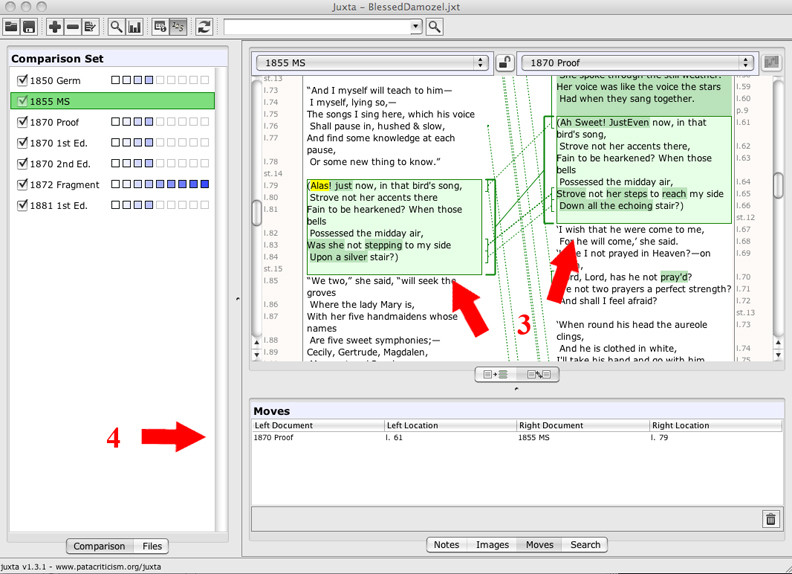 Altogether, these features represent a significant improvement to Juxta as a textual collation tool. Download it and give it a try today!